The Women’s Alliance of SLO and Hospice SLO County are proud to announce the 26th Annual Bingo Bonanza will take place on Saturday, April 6, 2019 at the SLO Veteran’s Memorial Building. This entertaining event offers 10 rousing games of Bingo each with a handcrafted prize basket (values ranging from $150-$300) for every winner. Guests will enjoy silent auction, door prizes and raffles galore, while proceeds benefit Hospice SLO County. Every year, we depend on the generosity of local individuals and business to ensure this FUN-raiser is a success! 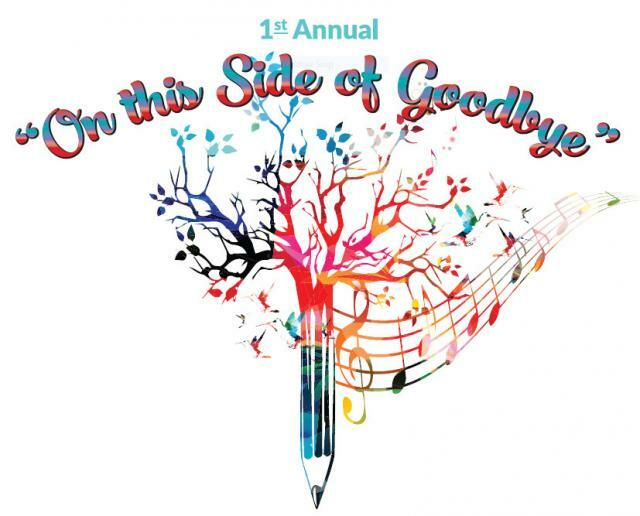 You can support this event by donating an item to our silent auction or raffles. Elizabeth Denny and The Positive Change Movement generously donated a series of beautiful homemade blankets to Hospice SLO County clients who are coping with a life-limiting illness. These blankets will be given to clients who are receiving In-Home or End-of-Life Doula Support. 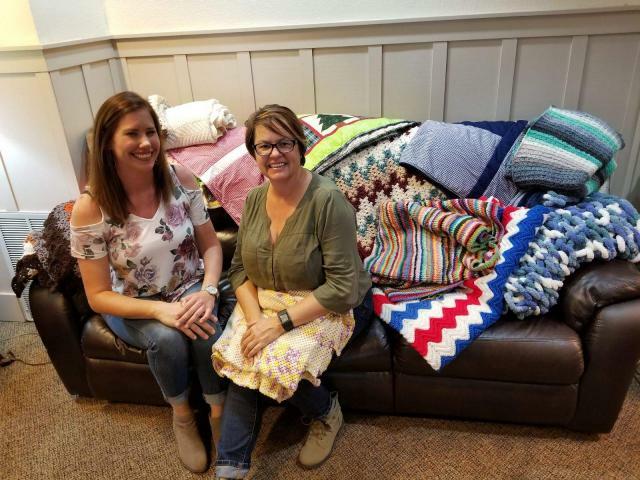 In fall, Elizabeth reached out to Hospice SLO County about coordinating the project after reading about how soft blankets could bring comfort to those who are facing a life-threatening illness. When she shared the idea on her Facebook page, The Positive Change Movement, she found several volunteers who wanted to help make blankets. Hospice SLO County staff was moved by the generosity of this group of crafty volunteers. Each month, St. Barnabas Thrift Shop gives a percentage of its income to a non-profit charitable organization in our community. 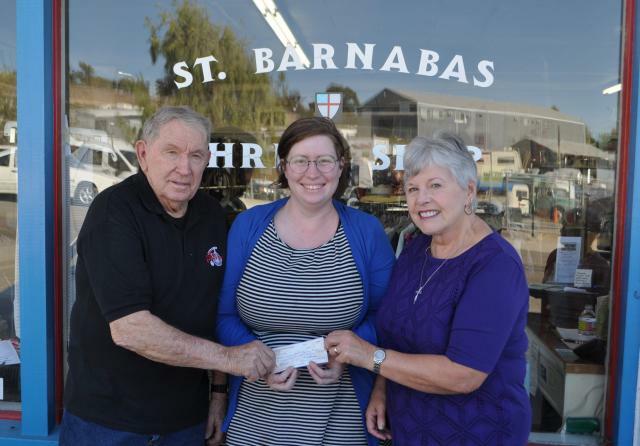 In October, the thrift shop generously selected Hospice SLO as their charity of the month. On November 13th, St. Barnabas Thrift Shop volunteers presented our staff with a check of $1,345.11. This generous donation will be used to support our services for individuals and families who are facing a life-limiting illness, end of life or grief. 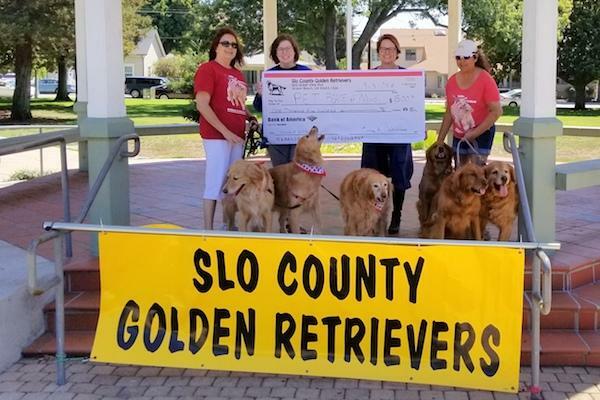 This year SLO County Golden Retrievers donated $1,500 to the Hospice SLO County’s Pet Peace of Mind Program. The mission of the Pet Peace of Mind Program is to enhance and preserve the human-animal bond by ensuring individuals with life-limiting illnesses are able to remain with their animal companions throughout their end-of-life journey. Hospice SLO County invites you to participate in our Community Awareness Survey. In an effort to continually grow and improve our services, we would like to hear from you. Please take our quick three-minute survey and share your knowledge and thoughts about Hospice SLO County. Take the survey for a chance to win a $100 Amazon gift card. Thank you for your generous feedback! 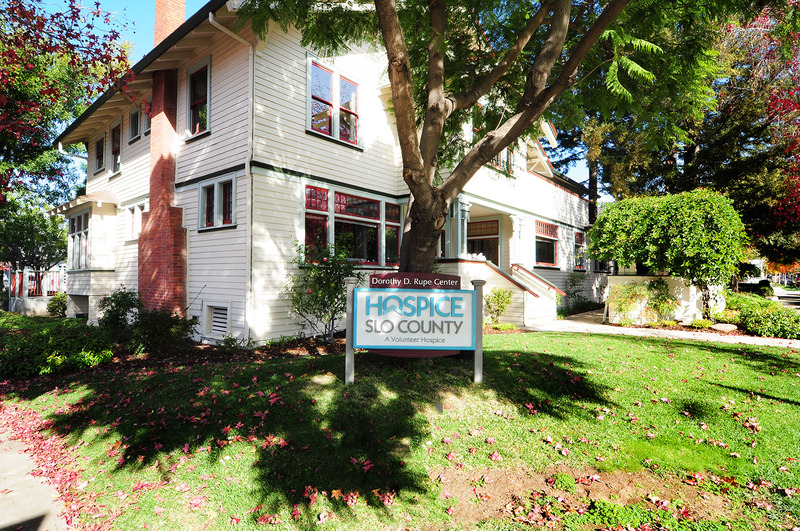 For the past 40 years, Hospice SLO County has been able to offer vital services to your San Luis Obispo County community because of generous business and individual donors like you. During the 2017-18 fiscal year, community donations and support made it possible for our professional staff and trained volunteers to provide over 12,500 hours in direct services, all free of charge. These ranged from in-home support and caregiver respite, to care management and end-of-life doula support, to grief counseling and community education. 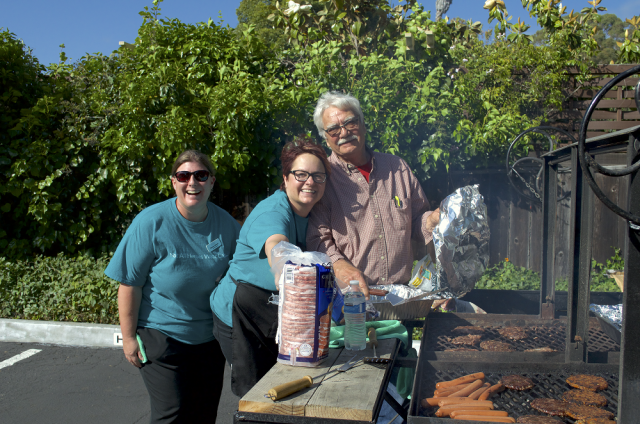 Hospice SLO County invited our volunteers to attend a special Volunteer Appreciation Backyard BBQ on Thursday, May 31st in the parking lot of our San Luis Obispo office. Our staff grilled and treated volunteers to hamburgers, hot dogs, and veggie burgers, along with sides, salads and homemade apple pie. Volunteers from all parts of the agency were celebrated and given the opportunity to connect with each other. Submissions are now closed. We are proud to announce our Featured Entrants! In recognition of Healthcare Decisions Day How do you say goodbye…? Experiencing the death of someone in our life is unique for every one of us. We may say goodbye with love, regret, forgiveness, anger, or even humor. We may find ourselves touched or challenged in unexpected ways. We may have time to prepare with the dying person – or no time at all. And for some of us, we may find that saying goodbye is not one moment, but a process that continues after someone has died. 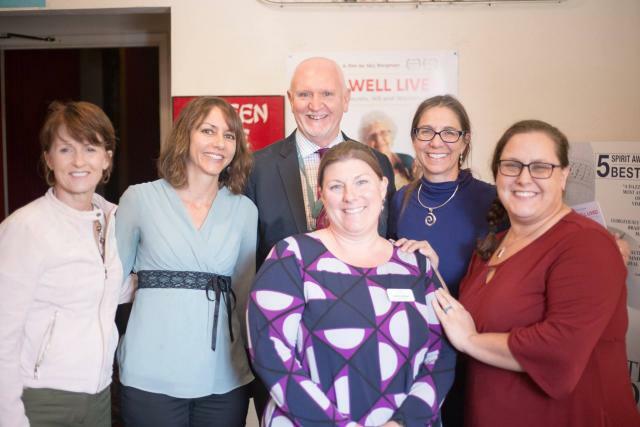 In recognition of National Volunteer Month (April), hospice volunteers from agencies Hospice of San Luis Obispo County (Hospice SLO County), Wilshire Hospice and Central Coast Hospice were invited to a private screening of the documentary Lives Well Lived. This screening was made possible by these three hospice organizations and the Palm Theatre, as well as the generous support of the filmmaker of the documentary, Sky Bergman. 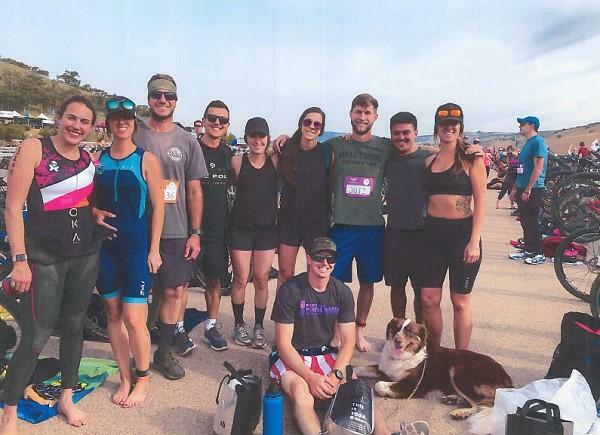 When Dennis Meffert, a local law student, and his friends signed up for the Wildflower Triathlon, they saw an opportunity to fundraise for a good cause. After a discussion with a volunteer from Hospice SLO County, Dennis decided to use the triathlon to fundraise for the volunteer hospice organization. He printed sponsor forms, asking friends and family members to donate a specified amount if his group completed the course. His friends, Anna Corwin, Tyler Ikeda, Benji Loomis, Kayla Loomis, Bonnie Shiffrar, Mike Shiffrar, Kenan Martin, Coree Oreizi and Darya Oreizi, encouraged their own loved ones to sponsor them. People were asked to pledge as much or as little as they could afford – and it all added up. On May 6th, Dennis and his friends successfully took part in the Wildflower Triathlon and together raised $1,250 for Hospice SLO County. This amount far exceeded Dennis and his friends’ expectations. In June, they were proud to presenst Hospice SLO County with their generous donation. For Dennis and his friends, the Wildflower Triathlon was a fantastic weekend made all the more special by their commitment to raise money for a wonderful organization. These young people proved that every donation, no matter how small, truly makes a difference.